I already had some good relationship with the Hutong School organisation in the past. I published couple of articles written by them in my blog last year (eg. Beijing vs Shanghai battle). They support people learning Chinese language, looking for local internships and opportunities in China. They plan a webinar next month in order to provide some tips to new comers, students or more experience people that want to move in and live the “Chinese dream”. Don’t hesitate to register, join and ask any questions that you have in mind. They are really supportive and it is totally free of charge. Webinar: How to get a job in China? Lilie finally decided to leave her Parisian hipster life and start a new adventure in Hong Kong. She took her young girl and followed her husband to live in this amazing city. She started few days after landing to write on her daily life and discoveries. It brought me back to my first weeks in Beijing when everything was amazing and incredible. I suggest that you start reading her portrait to know more about this talented writer and then go smoothly around in the different sections. Is it really impossible/complicated to watch a Foreign movie in China? We often hear these buzz words about China: censorship, Great Firewall, forbidden contents… Is it so complicated to watch an American movie here? Moreover, TV Channels main programs are almost completely locals (info, sport, series or historical movies). CCTV sometimes broadcasts foreign movies (in English with Chinese subtitles) but those movies are bit old. It seems complicated to watch latest American blockbusters (Spiderman 3, Thor…). Is it really true? A French lady, a Ctrip representative, who recently discovered my blog, contacted me few days ago. She read my initial blog post (French version) that presented the famous Ctrip website and suggested me to promote latest news & offers on their site. As Ctrip helped me and other “laowais” (expatriates who live in China) to visit this amazing country, I agree to publish a new article referencing this information. So Ctrip, what do you plan to bring to your customers in the coming weeks? There is not particular secret or any magic formula to learn a new language. Leave in the country : is it really possible to learn French from the US? 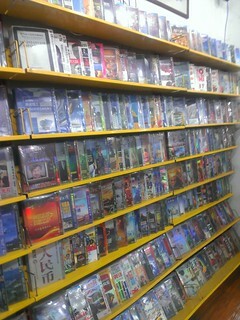 You can find numerous home-delivery websites in Beijing. Couple of months ago, I discovered sendmetickets.com, the website that can deliver to your office any concert and events tickets. I am bit hungry today so I focus on one my favorite food delivery site, Gungho! Pizza. I highly recommend trying their pizzas anytime any days. If you live in Beijing, you may see the delivery guys wearing pink clothes and riding pink motorcycles. Travel in China can be sometimes really complicated. I got several misfortunes during train trips or incredible delays during air trips. That’s why I want to highlight today a useful website to enjoy this immense country, Ctrip.com. This website, available in English, Korean or even Japanese, provides booking support for flights, hotels or complete packages from all major Chinese cities. I already presented in a previous post several websites which need to be known by expatriates who live in Beijing. I want today to add one site to this list for music fan that are not be able to speak Chinese, Sendmetickets.com. It is always complicated to get one ticket for a concert or a festival in town. Dates are always published late as the schedule is often updated (change on the place, cancellation…). Tickets are available in some bars only few days before the date. Some people got an interesting idea to help us, expatriates in Beijing: deliver these tickets to our door.